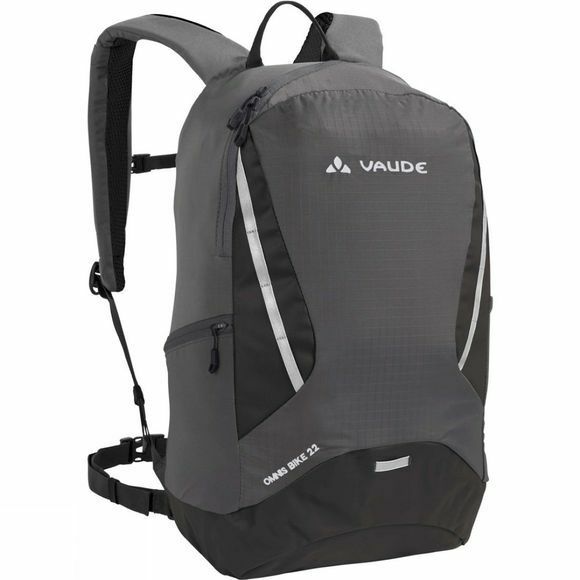 The Omnis Bike 22 Rucksack from Vaude allows you to be organised throughout the day! Well-designed compact daypack for versatile use day in and day out, including bike commuting. The comfortable suspension system and the detachable hip belt and sternum strap ensure a superior fit for sporting activities. Whatever you're cycling style–it's got you covered: bike lock, helmet and bike lamp can all be attached at the front. With robust material at the bottom that serves as a splashguard, there's space in the inner padded compartment for a laptop up to 15" or a tablet. 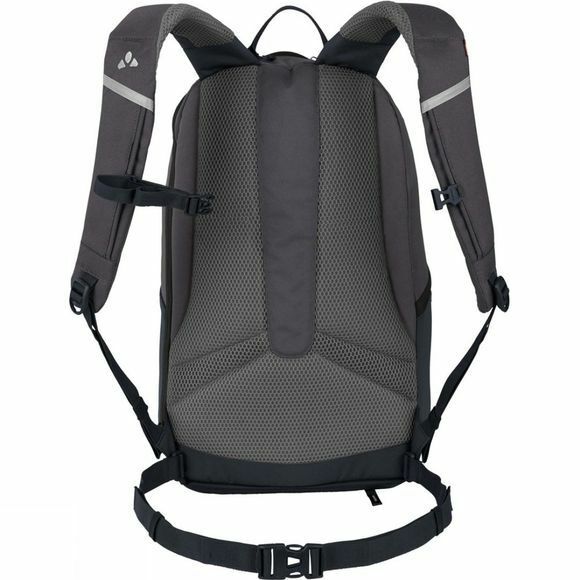 An asymmetrical 3-way zip is extremely practical: you can open the pack from the top as usual, or from the sideno more rummaging through your gear to get to your electronics. Well-organized compartments inside the main compartment stow smaller items like a flash drive or your charging cable.